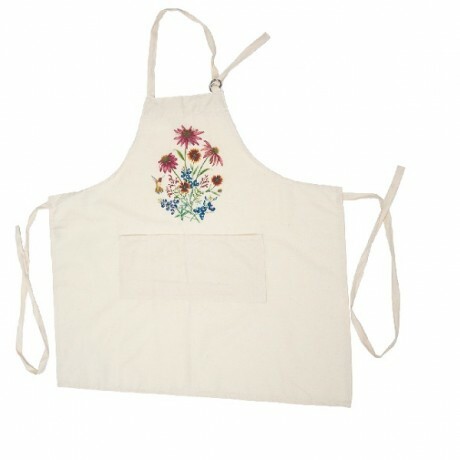 This apron is both beautiful and useful! Now offering Version I and II. This Texas Highways exclusive artwork is an original watercolor painting by Austin based artist, Aletha St. Romain. 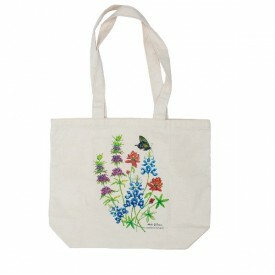 Apron is made from 100% organic Texas grown cotton and artwork is applied using direct-to-garment printing. Machine wash, tumble dry, remove promptly. 30” length with two front pockets.